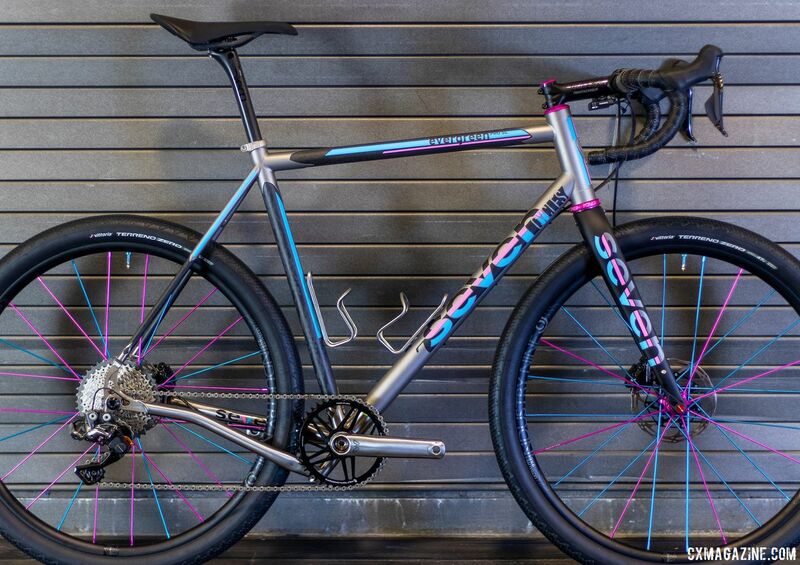 Seven Cycles in Massachusetts was born in 1997 as a bespoke builder of titanium bicycles. The next year the company had already produced its 1,000th frame and outgrew the original production facility. 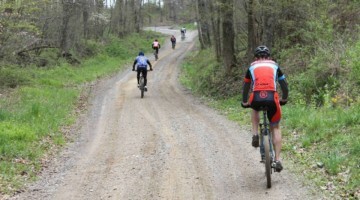 Seven Cycles attended this 15th edition of NAHBS, where we saw its award-winning gravel bike. 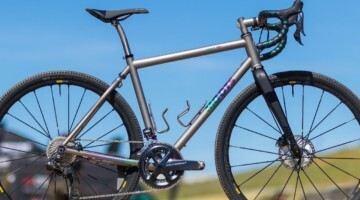 The one-of-a-kind Seven Cycles Evergreen Pro SL, a bike commissioned by Summer Cycles in Del Mar, California, won the Best Gravel Bike award from the NAHBS judges. 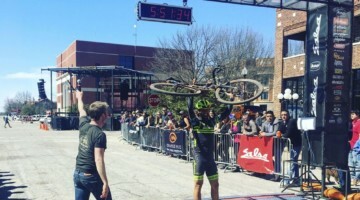 Sure, it’s a subjective award, but it’s hard to argue that the bike doesn’t impress, along with its price tag. 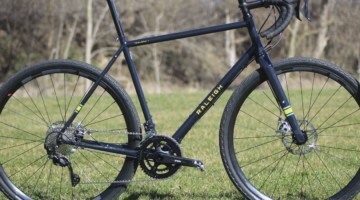 The bike is 3Al/2.5V titanium alloy, with tubes that are custom butted by Seven Cycles. Those tubes are melded with a custom USA-made, filament-wound carbon fiber top tube, seat tube and seatstays. 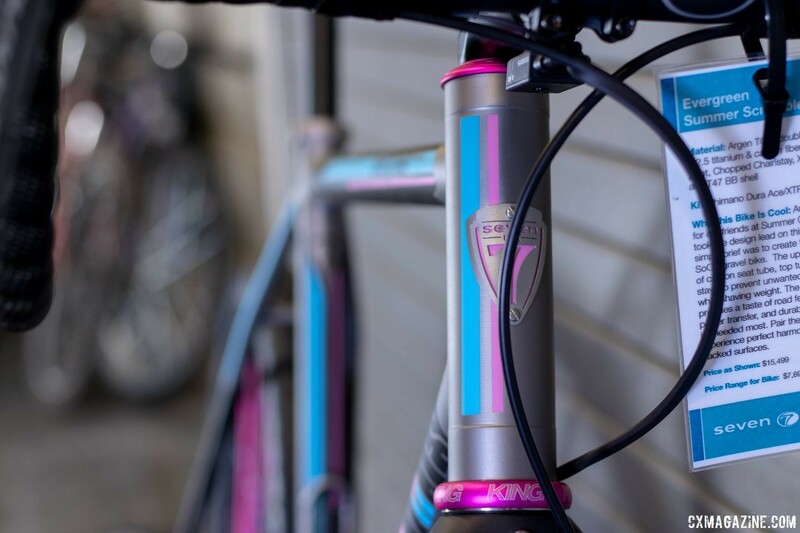 The bike is then adorned with custom paint. 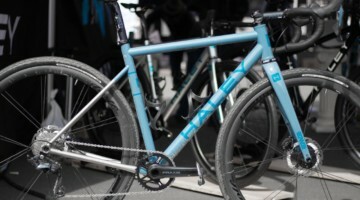 The award-winning show bike showcased the company’s exquisite titanium TIG welding and design. 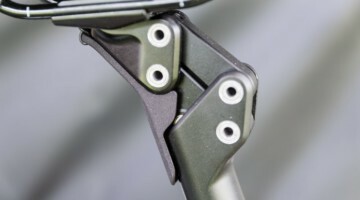 A unique element with the T47 bottom bracket was the “Chop Stay” (not to be confused with a “drop stay”) design of the right chainstay to clear the wide tire and chain ring but keep the chainstay length short for responsive ride characteristics. Seven Cycles welds two tubes to make the Chop Stay, which provides 20mm more clearance than a formed straight chainstay would. 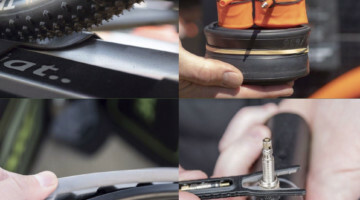 Seven can also bend the chainstay into a more traditional drop stay, but we’re told that only offers 6mm more tire clearance. 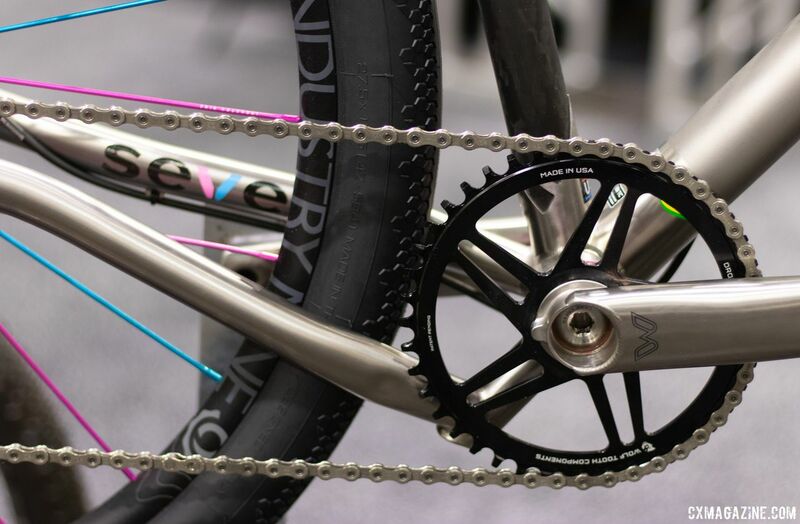 The show bike was equipped with Shimano Di2 in a single ring configuration with an XTR mountain bike rear derailleur. 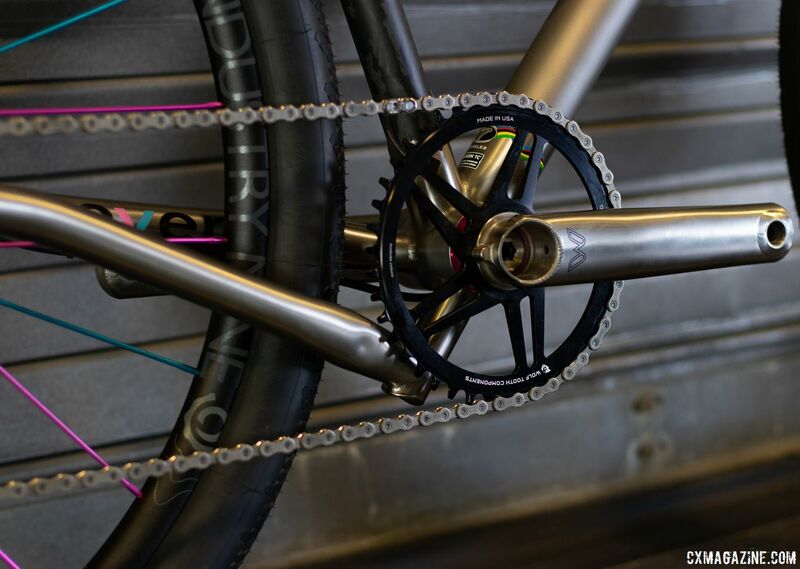 The single Wolf Tooth chain ring is on a Cane Creek eeWings titanium crankset (an updated take on the 90s Sweet Wings crankset). 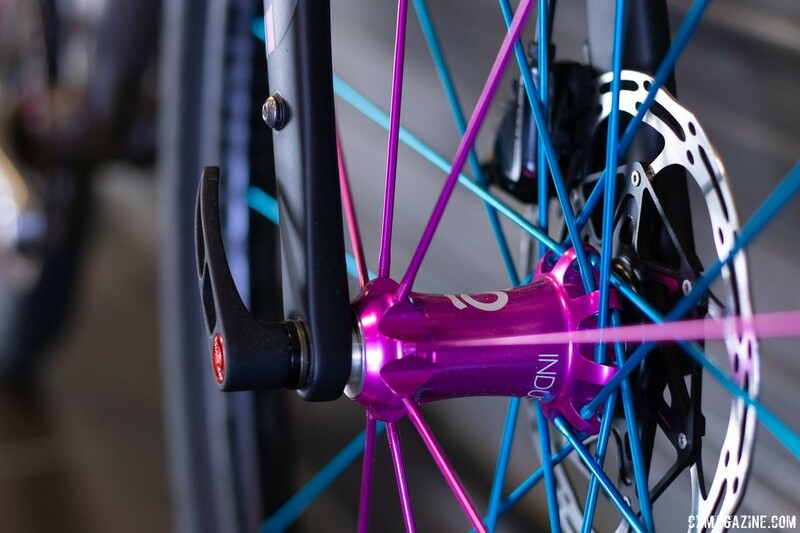 To dress up the already beautiful bike, the company rolled out Industry 9 Ultralight 235 TRA wheels with alloy spokes colored to match the frame paint scheme. 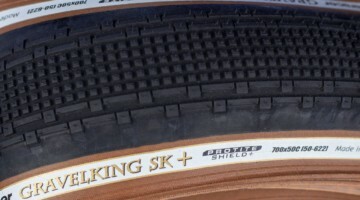 Seven opted for 650B wheels with 47mm Vittoria Terreno Zero tires, and the company claimed 700c x 40mm tires would fit. 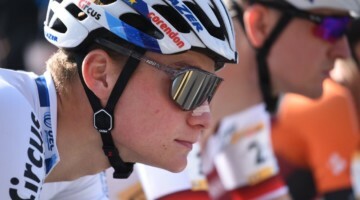 A Chris King headset also adds color to the bike. 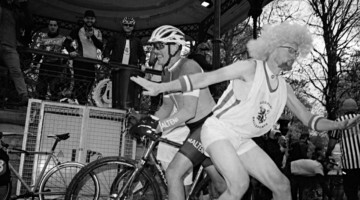 Since every bike is bespoke, customers can pick their own geometry within reason according to the bike’s use. 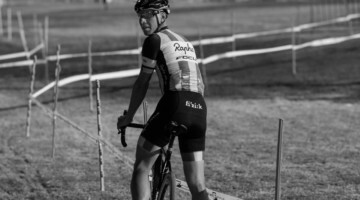 The bike can be designed around 700c or 650b wheels. 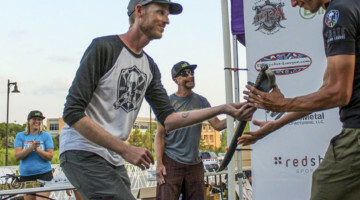 As shown the one-of-a-kind bike is priced like a true show bike: $15,499 on the bike’s show tag—or from $13,875 with a different build, according to Seven Cycles’ John Lewis. At that range, you will be excused for expecting it to win Best Bike Ever. And it might be—we didn’t get to ride it. 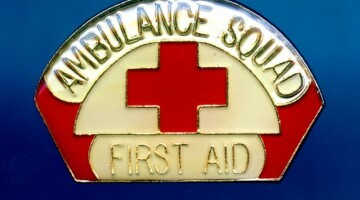 But if you looked in your wallet and found it doesn’t have that many zeros, there are other options. The Evergreen SL can be built made-to-order entirely of steel starting at $5,500 for a complete bike and $6,200 for all titanium. 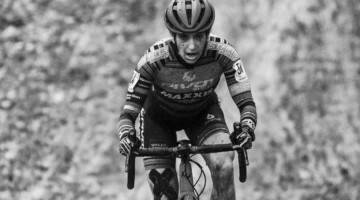 If you want an Evergreen Pro with carbon tubes, including a carbon down tube, it will cost you $8,500 for a full build or $6,100 for a frameset. 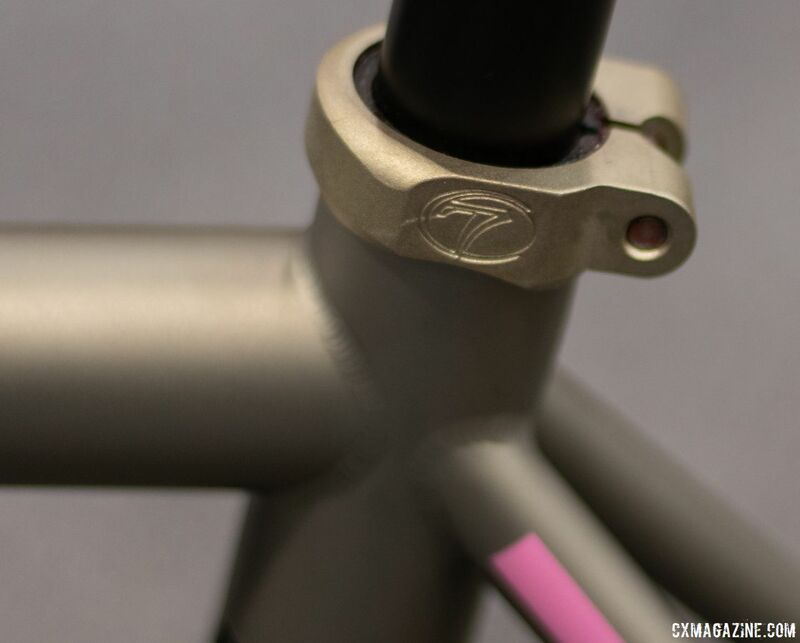 You won’t find the Evergreen Pro SL titanium/carbon combination as a stock option on Seven’s website, but that doesn’t mean they won’t build another for you. Just send the Brink’s truck up to Boston, past a waiting Isiah Thomas and into Watertown. Seven Cycles will be ready to build another award winner just for you. 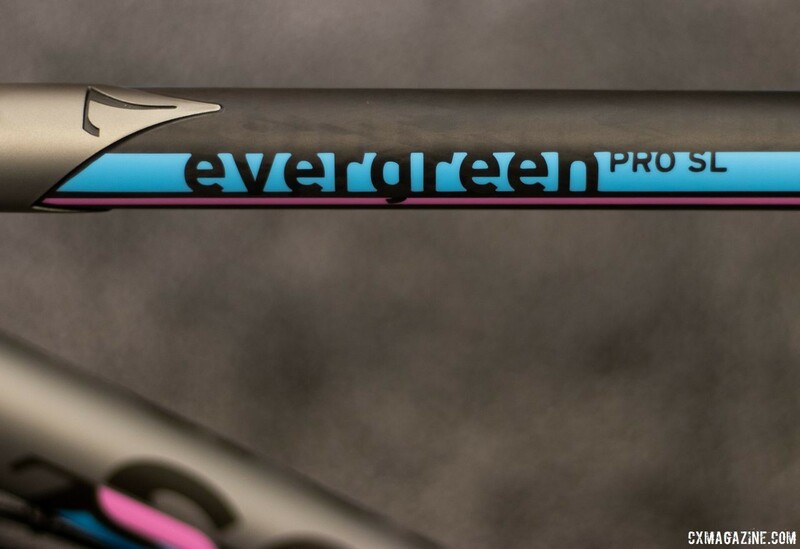 For a closer look at the Seven Cycles Evergreen Pro SL, see the photo gallery below. 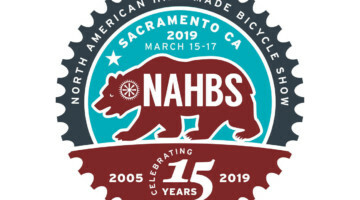 Stay tuned for more eye-catching bikes from 2019 NAHBS. 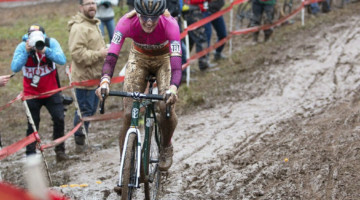 Also check out the top cyclocross bike from the weekend.